F10 Products Hand Gel is a skin decontaminating antiseptic hand scrub that does not require the use of water. Just rub your hand together after application until they have dried. Quaternary ammonium and biguanidine compounds (0.09%), non-toxic ampholytic surfactants and sequesterants in a 35% alcohol base. 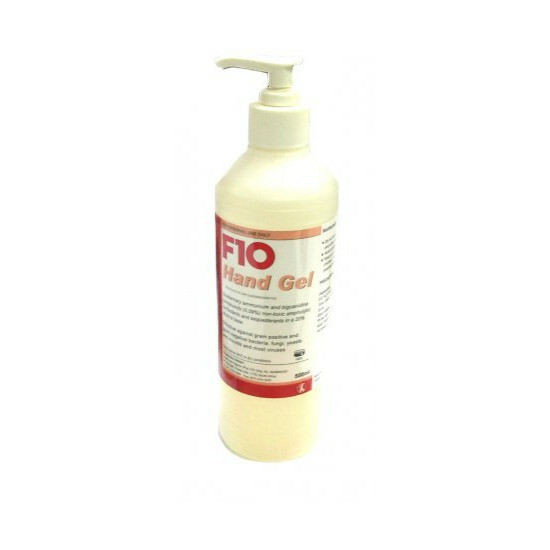 There are currently no questions for F10 Products Hand Gel - be the first to ask one!